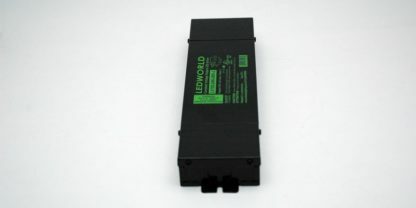 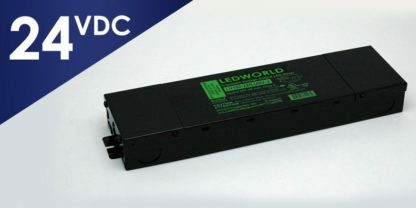 The 24VDC LV100-24N-UNV-J LED Driver is a 100 Watt Constant Voltage regulated Class 2 LED Driver with knock outs for hardwired installation. 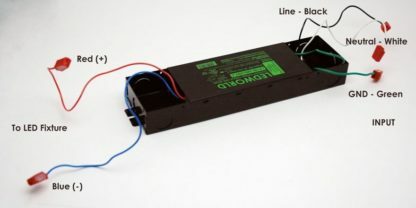 As a standalone unit, this unique, conduit ready, LED power supply will enable complete installation of your system without having to install external junction boxes, saving you invaluable time and money in installation and approvals. 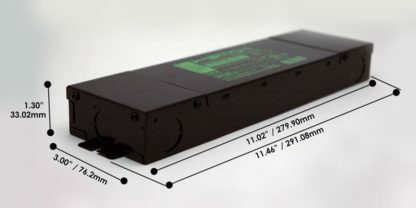 Efficient, Reliable and easy to install, the LV100-24N-UNV-J Class 2 LED Power Supply is fully potted for outdoor use (with optional weather tight cable connectors) and can work in extreme temperature environments (-30°C~ 60°C (-22°F ~ 140°F)). 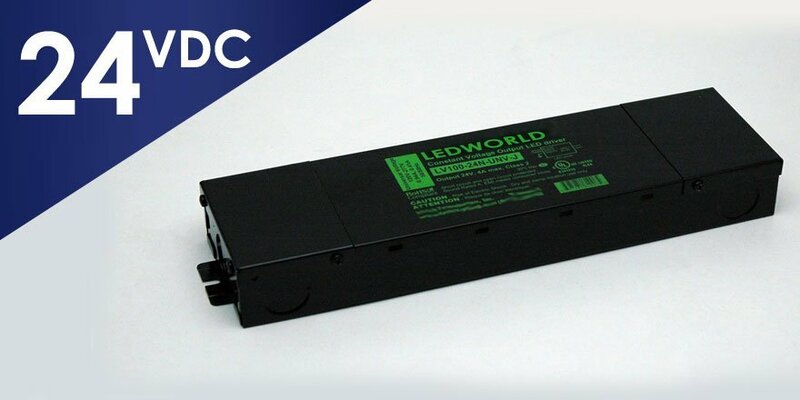 This unit features universal input range of 120-277 VAC and its wide range of applications make it ideal choice for 24VDC LED strip light or RGB LED strip lighting.